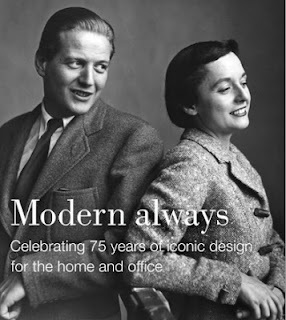 Modern Always: Knoll Celebrates 75 Years of Iconic Design for the Home and Office! To celebrate 75 years of design, Knoll is launching Modern Always, as integrated communications campaign that embodies the essence of Knoll design innovation and celebrates the Knoll brand - past, present and future. Throughout this year, Knoll will be bringing its story of modern design to life by launching the Modern Always campaign across six social platforms identified by the searchable hashtag #modernalways. Knoll fans will have multiple ways to engage with the Modern Always campaign, which will include 75 "modern always" moments from Knoll's history. Follow the conversation on Facebook, Twitter, Tumblr and Pinterest using the hashtag #modernalways.